If we’re looking for the most influential American Catholic at the turn of the century, and at least into the young 21st century, male or female, I would vote for Mother Angelica. The first time I encountered the unforgettable person of Mother Angelica was the mid-1990s. I was in graduate school, a former Catholic-turned-agnostic, but searching. I was coming back to the Catholic faith, it would turn out, but first through the arms of Protestant Evangelicalism. Whether in my car or living room, I would flip through the channels on my radio or TV in search for Christian programming. As for the radio, there were no Catholic stations. Not one. They were all “Christian” stations, meaning Evangelical. As for TV, there were, much like still today, “Christian” stations comprised of a vague Protestant programming, most of it very poor quality and extremely loose theology—often wild, embarrassing, and thoroughly unconvincing (if not repellent) to a skeptic searching for answers. In fact, to this day, when you check your DirecTV or Dish Network guide, you can find a half-dozen or so such stations (all non-Catholic), which my Protestant friends and colleagues are embarrassed by. And then one day I found Mother Angelica on my TV. She had a strikingly blue-collar style, reminding me of my Western Pennsylvania/Italian family roots. That was fitting, really, since she was raised not too far from me. I’ve driven through her so-called Akron-Canton region many times. This folksy nun from the town that houses the NFL Hall of Fame was tough. She was no sophisticate. That wasn’t her desire or approach—quite the contrary. That’s a bit ironic, because the television and larger media network that she was growing is today very sophisticated. 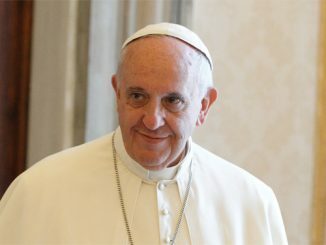 The EWTN media conglomerate is distinctly theological, thoughtful, orthodox, polished, high-brow—from the TV channel to the mass network of radio affiliates, which I can pick up in the car almost anywhere, or via Sirius radio, my computer, and my phone. That was what this little nun from Canton bequeathed. And it is no small achievement. Today, I watch EWTN television more than any other channel. I see Mother Angelica every night doing the Rosary faithfully at 9:30 p.m. Eastern. That practice will continue even as she has left this world. Over the past several days, starting with the Easter Triduum, I programmed my DVR to record from Rome every Mass from St. Peter’s Basilica, plus the beautiful Stations of the Cross from the Coliseum. I will return to those recordings constantly in the months ahead when a country-culturally-gone-mad drags me down and I need a respite and a literal touch of heaven. Most nights, I fall asleep to EWTN TV. And, of course, the Franciscan sister’s reach is beyond TV and radio. EWTN purchased what in my view is the best Catholic newspaper, the National Catholic Register. EWTN has a great website loaded with Church documents and other material. It has just started a press to publish books. I could go on and on. It’s all the legacy of this blue-collar nun from Canton, Ohio. If you want the embodiment of the new evangelization all in one person, it was Mother Angelica. What is her place in the history of American Catholicism? It’s quite high. For context, I’m reminded of one of my favorite books: America’s Bishop: The Life and Times of Fulton Sheen, by Thomas C. Reeves. On the first page, Reeves cited an on-line poll by Catholic Daily at the end of the 20th century where respondents were asked to name the most influential Catholics of the century. In total, 23,445 votes were cast. The top four were Pope John Paul II, Mother Teresa, Padre Pio, and Fulton Sheen. Reeves also referenced the Catholic Almanac for the year 2000, which judged Sheen the most popular and influential American Catholic of the 20th century. No doubt about that. Who was the most prominent American Catholic woman of the 20th century? One might reasonably guess Dorothy Day or even someone like Clare Boothe Luce. The question was not asked. But if we’re looking for the most influential American Catholic at the turn of the century, and at least into the young 21st century, male or female, I would vote for Mother Angelica. It is hard to find a figure who surpasses the influence of Rita Rizzo from Canton. 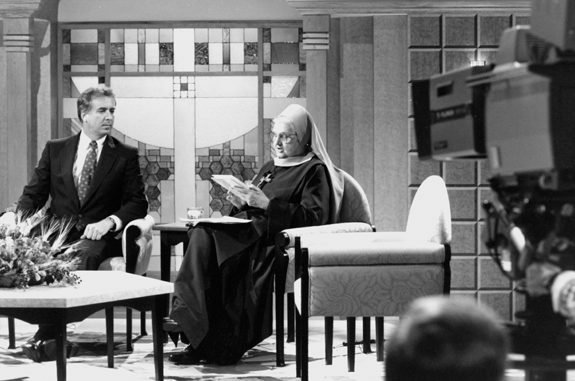 If Fulton Sheen was America’s Bishop, then Mother Angelica was America’s Nun. She leaves this country and world with a great witness, having truly done the Lord’s work. The good Lord seemed to agree, glorifying her and calling her home on a day totally of His choosing—Easter Sunday.